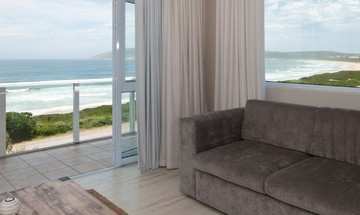 Stay in one of our luxurious Double/Twin rooms in one of our beach accommodation villas: Cordovan Villa and Robberg House. 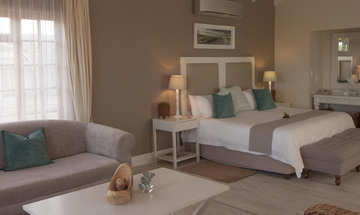 Perfect for couples looking for spacious, comfortable rooms with easy access to parking and a short walk to the beach. 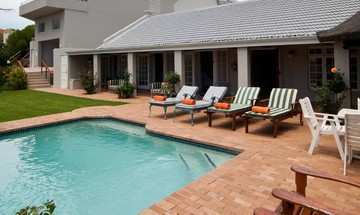 The Luxury Suite is perfect for families traveling with small children, or couples who enjoy having lots of space. 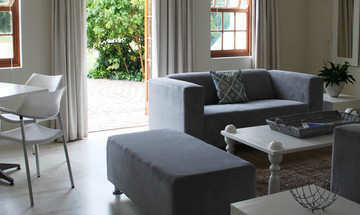 Each room has a sofa bed and can accommodate a maximum of 2 adults sharing with 2 young children. 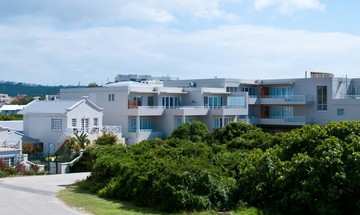 The View Rooms are all situated in Beachy Head Villa: set on a beachfront dune, overlooking Robberg's Blue Flag swimming beach. 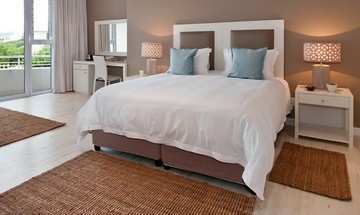 Beachy Head Villa offers two View Rooms, all with lovely sea views.